I love the zombie apocolypse TV show The Walking Dead. I could get into how richly drawn this world is, how the characters struggle with good/evil in a changed world, how Carol and Darryl are super bad asses and then suddenly show their sensitive side. 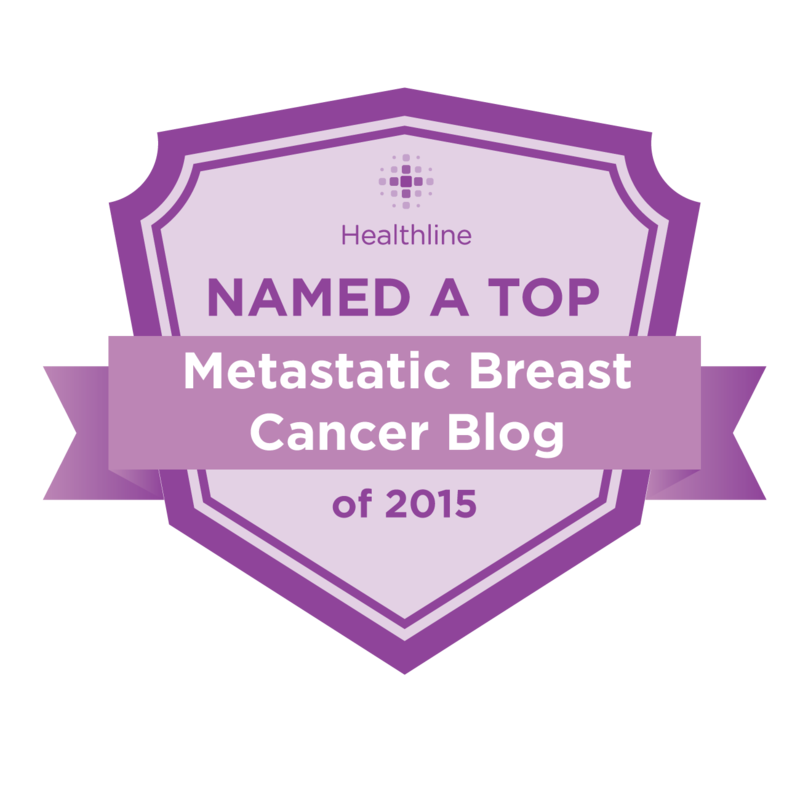 But I'm not writing a television blog, I'm writing a blog about living with metastatic cancer. So I can't relate to Carol,or Rick, or Darryl. I relate to the actual Walking Dead, aka the Zombies. My life, indeed, is much like those of the Walking Dead. I'm wandering around in this purgatory, between life and death, looking for sustenance wherever I can find it. I can't think of a future nor focus on my past. My life has to exist in this very moment. And I make weird noises when I'm hungry too. As a metastatic woman, we are often considered the untouchables. The zombies to be feared - we got the disease that nobody wants. And so I relate to my zombie friends on the show, who no longer have any motivation but to eat brains. Okay, I really cannot take these metaphors any further. I just think it would be totally cool to be a Walker on the Walking Dead. I set bucket list items long ago when first found out I was incurable, and then got too busy trying to survive to worry about any of it. But now, nearly five years later, I'm doing okay. Being on the set of a TV show was on the original list. I don't have a lot of interest in the acting side but I do have a lot of fascination with the technical side of what happens to make a TV show come together. It would be very cool to be on the set of the Walking Dead, and get to be a zombie and see how they film a show. I have a friend who lives in Georgia so maybe I could visit her, and I could maybe do a go fund me to pay for the trip out there. So, in June, I will have survived 5 years with metastatic cancer. 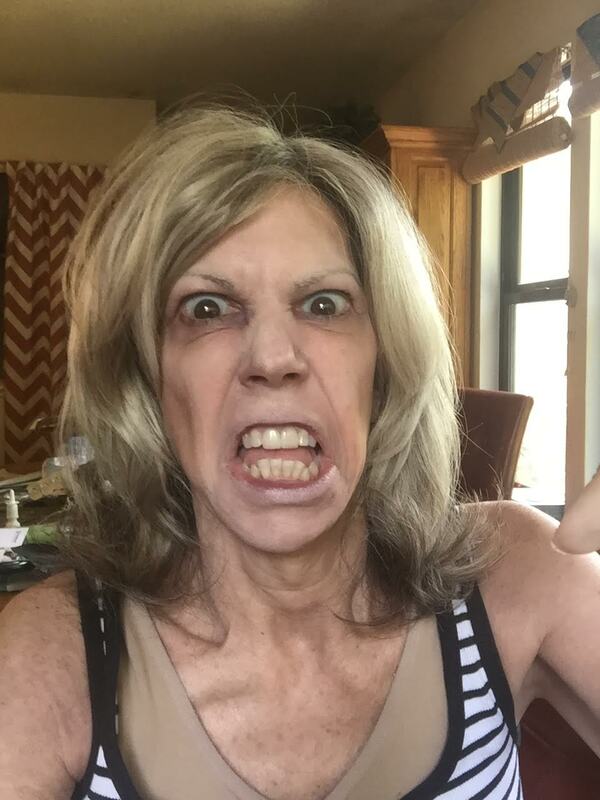 Let's get me on the Walking Dead. My husband says, "Do you think you can travel?" And I say, "I'm not sure." Because I haven't had to go anywhere. I have avoided all elective travel because I don't do time change very well. But hey, some things are worth it. If one of the true walking dead could be on an episode of the Walking Dead, that would be epic. So share this, tweet it, repost it - lets get it out there into the world, and lets get this not dead yet lady on the Walking Dead. You are something else, and I mean that in the highest and best of ways. I've always loved your sense of humor, Ann! You can pretty much turn anything dark into something humorous. Thank you for the laugh. It's 3 am and I discovered your blog because my mother is dying, so I can't sleep. Maybe today, maybe tomorrow, but not long at all now. But the entry that brought me here was written in October 2013. I thought I was reading someone who was surely gone by now. So, that you're still here after having gone through the same things as mom, and probably even more, and still have a sense of humor, brightens my day a little bit. I'm very sorry for what you are experiencing. Thank you for being there for her. I believe that she knows, whether she can express it or not. There is no understanding why some get extra time and some don't. I sometimes feel guilty for being one of the ones who has, but at the same time, I know my time will come. I only hope that when it does, the people I love will be there holding my hand as you are doing. Not to be cliched, but from my point of view, at this point, for you, every extra day is priceless. Enjoy it, because I don't think anyone who isn't that lucky wouldn't want you to have it.